Contemplative Practices and their Implications for West and East. The Mind and Life Institute facilitates the Dharamsala dialogues with H.H. the Daila Lama and leading scientists, and initiated a global movement for contemplative education and critical science. An opportunity for Thai leading thinkers, pioneers and students to anticipate future cooperation. On 28 November, 2011, the Mind and Life Board of Directors confirmed the selection of Professor Arthur Zajonc as the new president of the Mind & Life Institute. Professor Zajonc, who will formally take up his appointment in January, 2012, succeeds Mr. R. Adam Engle, a Mind and Life Co-Founder who served as the president and chair of the Institute for more than two decades. 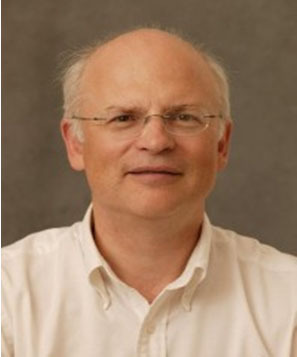 Arthur Zajonc PhD (U. Michigan) is professor of physics at Amherst College, where he has taught since 1978. He has been visiting professor and research scientist at the Ecole Normale Superieure in Paris, the Max Planck Institute for Quantum Optics, and a Fulbright professor at the University of Innsbruck in Austria. His research has included studies in electron-atom physics, parity violation in atoms, quantum optics, the experimental foundations of quantum physics, and the relationship between science, the humanities, and the contemplative traditions. He is author or editor of eight books including: Catching the Light (Oxford UP, 1995), The Quantum Challenge (Jones & Bartlettt, 2nd ed. 2006), Meditation as Contemplative Inquiry: When Knowing Becomes Love (Lindisfarne Press, 2009), and with Parker Palmer,The Heart of Higher Education: A Call to Renewal (Jossey-Bass, 2010). In 1997 Professor Zajonc served as scientific coordinator for the Mind and Life dialogue published as The New Physics and Cosmology: Dialogues with the Dalai Lama (Oxford UP, 2004). He organized the 2002 dialogue with the Dalai Lama, ?The Nature of Matter, the Nature of Life,? and co-organized the 2007 dialogue on ?The Universe in a Single Atom.? Zajonc acted as moderator at MIT for the ?Investigating the Mind? Mind and Life public dialogue in 2003, and again in 2010 at Stanford?s CCARE public dialogue with the Dalai Lama on research concerning the cultivation of compassion and altruism. The proceedings of the Mind and Life-MIT meeting were published under the title The Dalai Lama at MIT (Harvard UP, 2003, 2006) which he co-edited. He currently directs the Center for Contemplative Mind in Society, which supports appropriate inclusion of contemplative methods in higher education. He has also been General Secretary of the Anthroposophical Society, president/chair of the Lindisfarne Association, and was a senior program director at the Fetzer Institute. For more information see www.arthurzajonc.org. The Mind & Life Institute is a nonprofit organization dedicated to building a scientific understanding of the mind through the investigation of contemplative practices in order to reduce suffering and promote wellbeing. The Mind & Life Institute implements this mission and vision through a strategy of integrated initiatives including Dialogues and Publications, the Mind and Life Summer Research Institute and accompanying Varela Awards, the Mind and Life Humanities and Social Sciences Initiative, and as a co-sponsor and coordinator of the International Symposia for Contemplative Studies. For more information, visit www.mindandlife.org (this text adapted from the website).